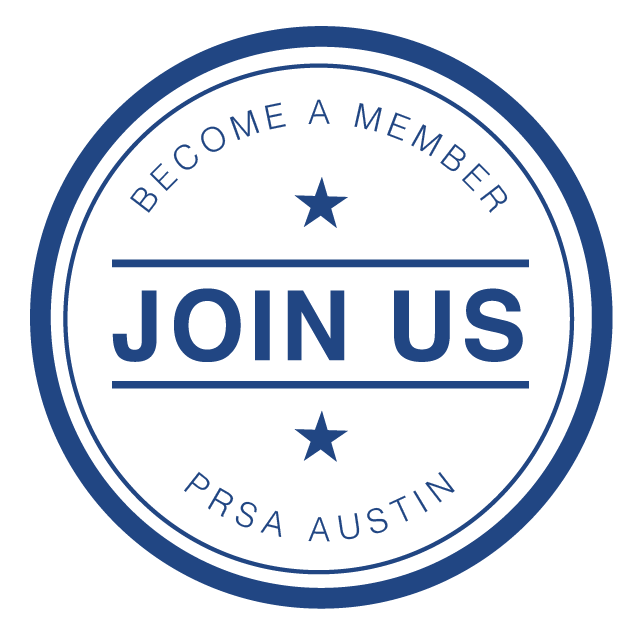 PRSA Austin Chapter monthly events are a great way to continue your professional development, stay current on industry trends and network with other communications professionals. PRSA Austin Chapter events are typically held on Thursday of each month. Members and students receive discounts on events. November 1 Pro-Am Day 8:00 a.m. to 1:30 p.m. SAVE THE DATE! PRSA Austin Chapter has a no refund policy. Substitutions are allowed at no charge.